Herbal Products USA sources quality herbal products from manufactures only! Ashwagandha, one of the most powerful herbs in Ayurvedic healing, has been used since ancient times for a wide variety of conditions, and is most well-known for its restorative benefits. In Sanskrit Ashwagandha means “the smell of a horse,” indicating that the herb imparts the vigor and strength of a stallion, and has traditionally been prescribed to help people strengthen their immune system after an illness. Ashwagandha is frequently referred to as “Indian ginseng” because of its rejuvenating properties, even though botanically, ginseng and Ashwagandha are unrelated. Belonging to the same family as the tomato, Ashwagandha is a plump shrub with oval leaves and yellow flowers. It bears red fruit about the size of a raisin. The herb is native to the dry regions of India, northern Africa, and the Middle East, and today is also grown in more mild climates, including the United States. The use of the Ayurvedic herb, Ashwagandha can help alleviate these symptoms and support an energetic and rejuvenating sense of wellbeing. Ashwagandha contains many useful medicinal chemicals, including withanolides (steroidal lactones), alkaloids, choline, fatty acids, amino acids, and a variety of sugars. While the leaves and fruit have valuable therapeutic properties, the root of the Ashwagandha plant is the part most commonly used in Western herbal remedies. In Ayurveda, there are specific herbs with adaptogenic benefits, Ashwagandha is one of them. Adaptogens are substances (a combination of amino acids, vitamins, and herbs) that modulate your response to stress or a changing environment. Adaptogens help the body cope with external stresses such as toxins in the environment and internal stresses such as anxiety and insomnia. According to Ayurveda, our bodies are woven from food. The nutrients we ingest are metabolized into the energy and information that form our cells, tissues, and organs. Every day our bodies need essential vitamins, minerals, and other nutrients to maintain our body’s delicate balance. Taking an Ashwagandha supplement is a highly effective way to create that balance. 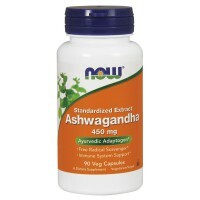 Ashwagandha is typically ingested in capsule form. The typical recommended dose is 600 to 1,000 mg. twice daily. For people who suffer from insomnia and anxiety, having a cup of hot milk that contains a teaspoon of powdered Ashwagandha before bedtime is beneficial. Medical Caution: Always consult with your healthcare practitioner before using supplements if you have any health conditions. Ashwagandha is not recommended for women who are pregnant. Saw Palmetto Harvesting Company 1969 310 th Ave.